Over four years have passed since Lee Berger’s discovery of Homo naledi bones in the Rising Star Cave system of South Africa.1 Yet, back-and-forth bone disputes in the scientific literature leave many still wondering what these fossils truly represent. Is H. naledi some type of human, or does it better match an extinct ape like the famous Australopithecus “Lucy”? To answer this question, I examined the latest published research on the anatomy of the varied H. naledi specimens. 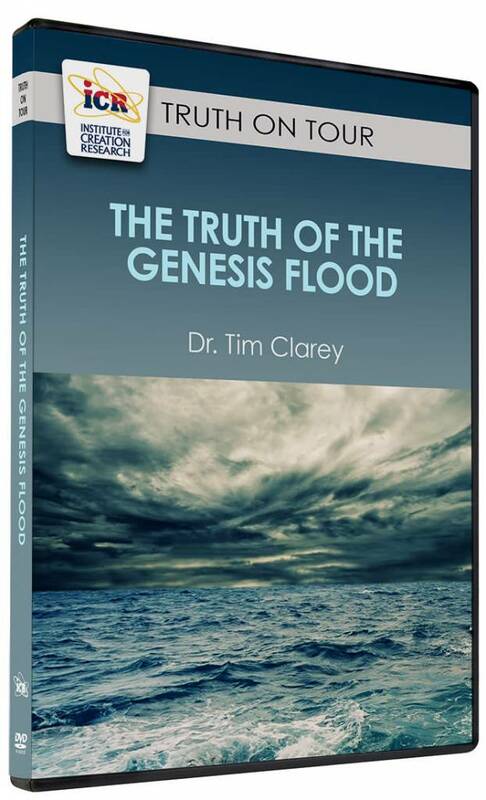 But God clearly communicates in Genesis that there is no evolution linking His created kinds. Of course, the secular world hailed this discovery as some type of human ancestor. But God clearly communicates in Genesis that there is no evolution linking His created kinds. 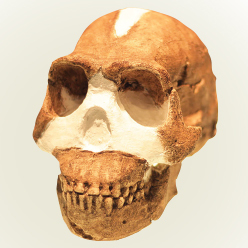 Therefore no evolution links the ape-like H. naledi to mankind. So, what is H. naledi? 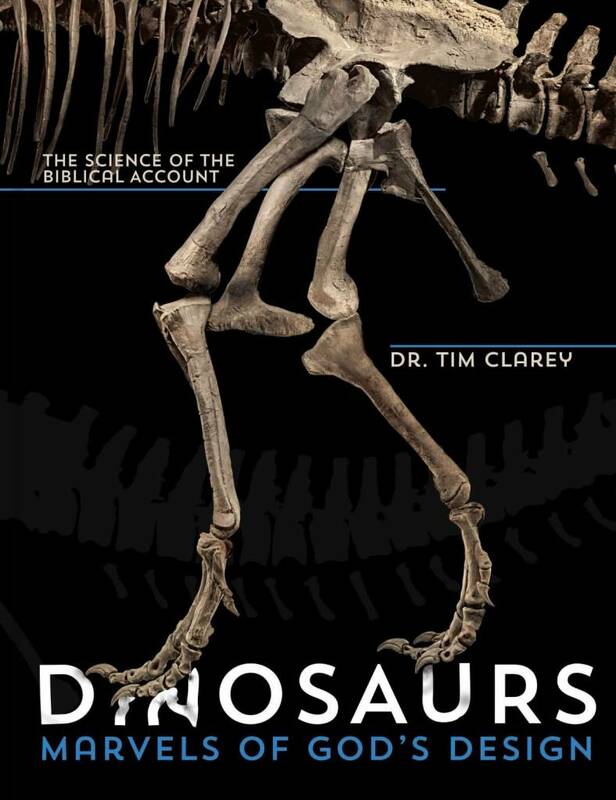 A couple of creation scientists weighed in on the debate, first claiming the bones represented some type of human. They believed the presence of the bones inside the cave indicated intentional burial of the dead.5-7 These creationist studies focused primarily on the skull and dental features of the specimens and on secular geological interpretations for deliberate disposal. In response, other creation scientists studied the bones, including the postcranial characters like vertebrae and ribs,8,9 and the deliberate disposal hypothesis suggested by secular scientists.10 Their findings showed that H. naledi falls not within the human (Homo sapiens) kind but within the Australopithecus kind. Essentially, this makes H. naledi another example of an extinct ape, the same kind as Lucy. Essentially, this makes H. naledi another example of an extinct ape, the same kind as Lucy. My own research examined the disposal hypothesis and found that the presence of bones in two nearby but separate chambers makes deliberate disposal in the hard-to-reach Dinaledi Chamber highly unlikely.10 The majority of the bones in both chambers were quite disarticulated and fragmented, and no artifacts like stone tools or jewelry were found to indicate a ritual burial typical of humans. Instead, the H. naledi bones could have simply washed into both chambers nearly simultaneously during Ice Age flooding episodes of the cave system. There are no “almost human” ancestors, only humans and apes—two separate kinds—just as God created them around 6,000 years ago. So, what is the verdict on H. naledi? Detailed research shows that it is nothing more than another species of extinct ape—another version of Lucy. There are no “almost human” ancestors, only humans and apes—two separate kinds—just as God created them around 6,000 years ago. O’Micks, J. 2017. 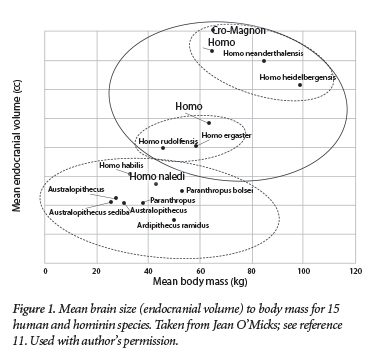 Likely Discontinuity Between Humans and Non-Human Hominins Based on Endocranial Volume and Body Mass with a Special Focus on Homo naledi – A Short Analysis. Answers Research Journal. 10: 241-243.